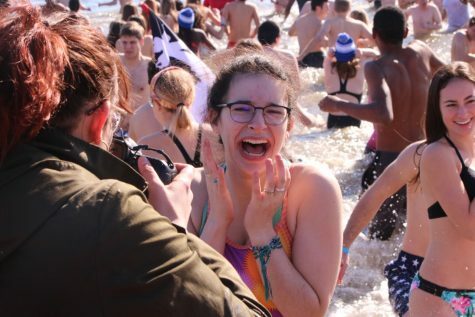 Students rush out of the water at the Polar Bear Plunge. Many students in Whitman's Best Buddies club participate in the Plunge annually. Photo by Bella Young. It was a frigid day. Double-digit mph winds whipped across the Chesapeake Bay, chilling the already below-freezing water. It was the perfect day for a swim. The Cool Schools Challenge hosted its 22nd annual Polar Bear Plunge at Sandy Point State Park Jan. 25 to support Special Olympics Maryland. The plunge drew participants from schools across the state, including members of Whitman’s Best Buddies club. Senior Lily Tender jumps in the freezing cold water. The Polar Bear Plunge raises money each year for Special Olympics Maryland. Photo by Bella Young. The “Viking Plungers” team consisted of 46 students and teachers, with sophomore Maddie Menkes serving as head organizer. Participation this year surpassed all expectations from previous years, a surge reflected in the funds raised. By Jan. 26, the Cool Schools Challenge raised $368,966, which exceeded their goal of $300,000. This money will financially support the 7,459 Special Olympics Maryland athletes, Menkes said. 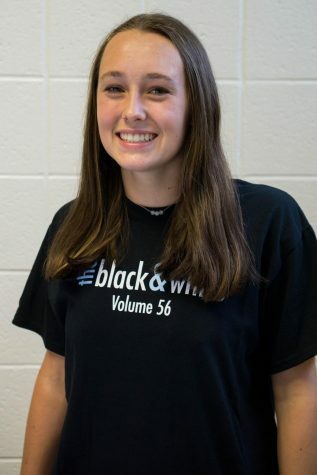 Whitman is a major supporter of the fundraiser and has been participating in the event for several years, Best Buddies teacher sponsor Veronica Garner said. “One of our objectives in Best Buddies is to make sure that our peer buddies and their buddy have the chance to have various events and activities that they can participate in,” Garner said. 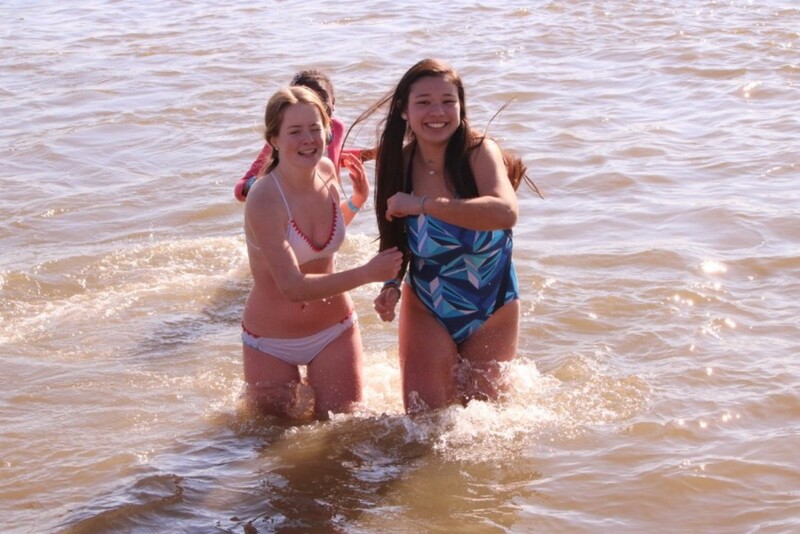 For the past two years, sophomores Becky Barsky and Madeline Wenger have participated in the Plunge. Many of the buddies also supported their peer buddies as they took the plunge, making the event an amazing and unforgettable experience, Barsky said.